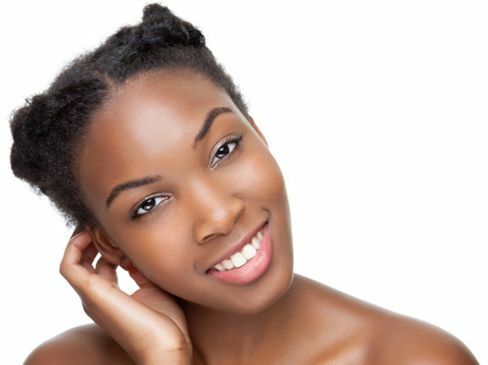 If you're thinking about going natural, you're certainly not alone. In fact, many women who are choosing to go natural are tracking their journeys on social media. We wouldn’t call it a “trend,” (as that implies it’s temporary, and we don't believe this is just of-the-moment but rather here to stay) The movement towards embracing our natural beauty is one we wholeheartedly support. It also happens to dovetail nicely with the current movement towards a more natural way of living and the fresh resolve of a new year. If you’ve chosen the long-term transition, there are a few things we recommend every natural hair transitioner get immediately. Fortunately, in this media-centric time, we have the luxury of being surrounded by knowledgeable naturals who have taken their journey to the web, documenting their process every step of the way…all right on the ever-accessible YouTube. If going natural isn't exactly easy, it can be less intimidating if you first see how others before you managed to do it. There are three naturals in particular who opted for the long-term transition; each emerged with gorgeous and healthy hair. Check out their videos to see how they did it, and get inspired. Kadijah Nicole long-term transitioned for 19 months before finally taking the plunge and cutting off her relaxed hair. Nicole's various hair stages, and different lengths are proof that patience is essential part of the process. Her favorite tool is the Tangle Teezer, and she admits that she survived college by doing braid-outs and buns. GlamorousLife328 joined team “All Natural” after 19 months of transitioning. If you are interested in transitioning while utilizing wigs and weaves, then this is the person to follow. You'll see the full spectrum of pros and cons if you choose to transition this way. Ko'lana Kurls transitioned for two whole years! Her channel is an invaluable resource for the various styles you can use to blend the two textures from flexirods to braid-and-curls. And, if you have specific questions that you're not finding answers to from these three sources, you can always post them on NaturallyCurly’s Q&A, a modern day helpline where community members and our team of editors answer your questions, from product suggestions to our number one FAQ “what’s my curl pattern?” Aside from leaning on a team of experts for support and actual visuals, there are several other important things to keep in mind as you move towards your natural hair state. There are loads of new products and ingredients you’ll soon learn, but the most important word to learn, and learn quickly, is slip. Slip refers to the slipperiness of your conditioner, which combats tangles, snarls, and knots. Whether you use a wide tooth comb, a Tangle Teezer, or your trusty fingers, it’s imperative that you keep tangles at bay during this tricky transition without damaging or pulling on your fragile strands, which is why it's important to invest in a good conditioner with amazing slip. Some naturals love the slip of silicones while others prefer to avoid them; this is a decision you'll need to make on your own. Check out the winners of our Slip Awards and try a few to see which ones your hair seems to respond best to. Protein treatments and conditioners temporarily rebuild the damaged hair cuticle, which is often chipped away during styling and chemical treatments. Women with severe damage may need more frequent or deeper protein treatments while others may just need a regular monthly treatment. Regardless, almost every woman will need to beef up on protein during this transitional period. Whether you go the store-bought product or the DIY henna route, you will to have this in your arsenal. You’re going to be dealing with two textures until you cut off the stringy, damaged ends, and we’re not gonna lie, sometimes it won’t be pretty. But, we don’t recommend trying to fight this phase with a straightening iron, which we believe will only damage the new growth you have coming in. (The jury is out on the use of a straightening iron in the transition, however, as some other experts say it's not a big deal.) The best way to mask the awkward demarcation line is to master a styling technique that can blend the two textures. There are so many to choose from including braid-outs, twist-outs, flex-rods, bantu knots. Before you know it you’ll be teaching other new naturals how you get your go-to style. To a long term-transitioner, patience is one of the most important ingredients. You must learn to be patient with your hair, yourself, and the changes that are bound to occur as your hair evolves from one contrived texture to the other natural one. There really isn't a right amount of time or length of hair for cutting off those relaxed remnants, but if you do not practice patience then you may end up with a shorter big chop than you originally wanted. Keep in mind that hair grows about half an inch per month, so plan your transition accordingly. Don’t fall prey to grow-hair-quick schemes; rather, try to learn as much about your hair as you can, and try to enjoy the process. Who knows, you may even end up growing quite fond of one of your go-to-styles in the transitional phase. As you embark on this natural hair journey, remember that hair crushes are normal, but beware of excessive hair envy. Comparing your hair to someone else’s is bound to leave you frustrated and annoyed. From climate to genetics to age, there are a number of factors that contribute to your hair's makeup. Love and nurture your tresses, and they will thrive.